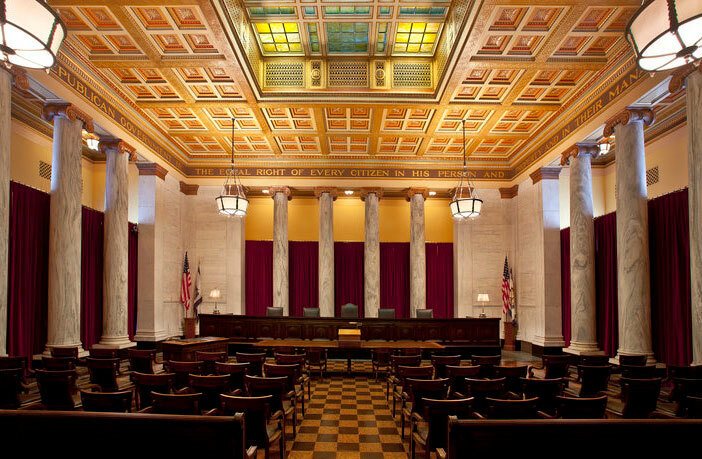 The entire West Virginia Supreme Court was just impeached. Here’s everything you need to know. The remaining justices — acting Chief Justice Margaret Workman and Justices Robin Davis and Elizabeth Walker — were impeached on three articles. Workman and Davis were impeached for overpaying senior status judges on lower courts, while Davis was impeached for misusing $500,000 in taxpayer funds on office renovations. All four justices were charged with neglect of duty, abusing their power, and failing to reign in the spending of the others, according to NBC News. The court’s fifth justice, Menis Ketchum, resigned last month before impeachment proceedings began. He has also pleaded guilty to a federal charge of defrauding the state of West Virginia. He faces 20 years in federal prison. West Virginia Senate President Mitch Carmichael claims the Republican party is responsible for the state’s economic turnaround and believes the election of President Donald Trump has only added to their prosperity. Carmichael blamed Democratic leadership for a loss in population and manufacturing jobs, then accused them of selling out to special interest groups. Carmichael then praised Trump’s leadership and said the state was economically liberated when he was elected to the White House in 2016. One of the main issues still lingering for West Virginia is the opioid crisis, but Carmichael believes it can be tied to the state’s lack of economic prosperity. This article (The entire West Virginia Supreme Court was just impeached. Here’s everything you need to know.) was originally published on True Pundit and syndicated by The Event Chronicle.